Wetlands, which combine features of land and water, are rivals to rainforests as the most productive natural systems. The conservation status of species is highest in European countries that have most wetland. Wetlands are also important for helping to moderate flooding. However, about half of Europe’s wetlands have been lost in the last century. Aquaculture such as fish-farming can involve creating small wetlands that benefit many species other than the intended food crop. 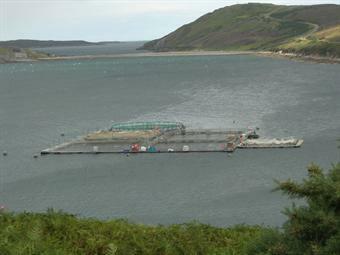 However, modern technology has allowed fish farmers also to enclose areas of sea. Although intensive coastal fish-farms can provide social and economic advantages, the challenge for them is to produce conservation benefit for wild species too. BEST PRACTICE. An initiative in Sweden shows how artificial wetlands can trap agricultural run-off as a benefit for fishing, and for hunting too. PRODUCTION. Naturalliance will gather information on economic incentives and techniques for restoring wetlands. PROBLEM-SOLVING. How can all types of aquaculture provide benefits for conservation? MAPPING wetlands is important for flood management and could also reveal their features that help most to conserve the riches of nature. • Encourage sustainable management of all aquatic resources. Do our SURVEY to tell us what information you would most like.